You know the saying that “Good guys finish last”? Well I’m starting to believe that is the truth. Today was just another small sample of what I’m talking about. It was a few minutes before 0700 and I decided to get up and shave. I figured while I was at it, I might as well brush my teeth again, because Lita told me yesterday that my breath smelled like onions. That’s not really a surprise because I eat onions probably everyday. After I finished that I came in here to the computer to check things out. As I was sitting here I heard them outside talking about me. I’m not sure they know I can hear them, but they are talking in Tagalog anyway, so maybe they don’t care if I hear. That “They” is including Lita, so I’m not worried. If it’s something I should know, she will tell me later. 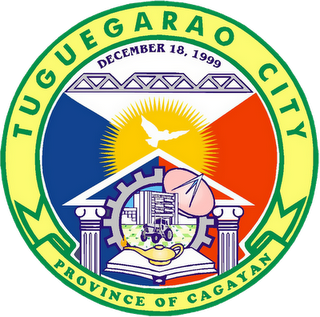 Tuguegarao City (Filipino: Lungsod ng Tuguegarao) is the city capital of Cagayan, Philippines and the regional capital of Region 02 (Cagayan Valley Region). 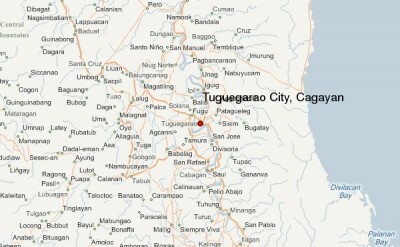 Tuguegarao is the economic center of the Cagayan Valley Region; it is located on a peninsula in the Cagayan Valley. It is sheltered by the Sierra Madre Mountains in the East; Cordilleras in the West; and, the Caraballo Mountains in the South. 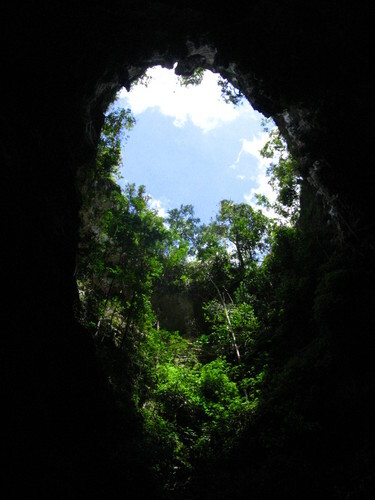 It grew on the banks of the Cagayan River and the Pinacanauan River, near the southern border of the province. 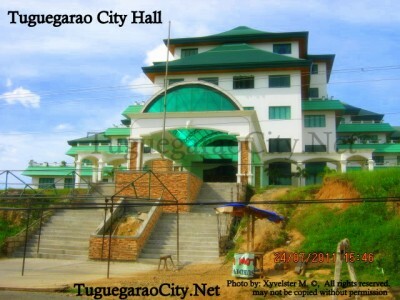 There are several versions looming about the origin of the name of the city of Tuguegarao. One is the abundance of “tarrao” trees in the area. Another is “garrao” meaning swift current, possibly of the Pinacannauan River. Another is from the word “tuggui” meaning fire. Another recorded version is, the town was formerly called Twerao by the people of the northern towns. 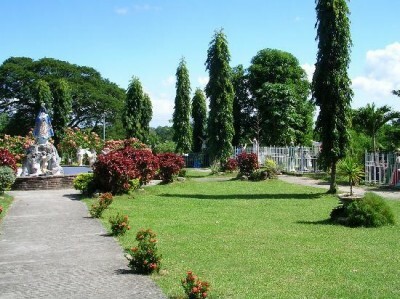 Still another is that the name Tuguegarao comes from two Ibanag words “tuggui” (fire) and “aggao” (day), possibly referring to a daytime fire that happened in the town. The most accepted version is the Ibanag reply to Spaniards, “Tuggui gari yaw.” meaning “This used to be fire.” or the town was carved out of the wilderness by clearing and burning. At0759 Lita called me out to open the store. Okay, no problem. After I opened the store up I noticed that the cigarettes and candy that she bought yesterday had not been up on the shelves yet. So being the “nice guy” that I am, I decided to put them up. As I was doing that Lita became suddenly very tired and she wanted me to stay there while she went in to take a nap. Now I know that if I would have opened the store and came straight back into the house, without putting those things up, she would not have been tired at that time. That’s what I get for trying to be a nice guy. I’ll probably do it again next time though. When I was in the house I was researching ways to make my website more popular. I’m told I need to find a “niche”. Something that no one or at least very few people write about on the internet, but it is also a popular search item. Anyone got any ideas about that from reading these posts? I did a little research and the best thing I’ve been able to come up with so far is “Calbayog” or maybe even “Samar”. I’ve also discovered a couple of other things that I’m doing already, but need to pick up a couple of notches. Something else I was in the middle of was tagging all the old posts I have, since I now know how to do it correctly. I’ve even accumulated a tag cloud, but I doubt it will ever be put on my website because I thing they look ugly. The only way I would put it on there is if I find out that it is a popular way for people to search with and I doubt that. I just reminded Ramil to return a CD that he borrowed from me. He has had it for 3 or 4 days and he didn’t really need it more than 1 day. About half the time when I ask Ramil something he takes care of it quickly, but the other half I have to remind him about it constantly. I’ve got a feeling I will be seeing that CD today though because of the tone of voice I used when I asked him about it today. Lita finally got up around 10:00, but decided she wanted to take her shoes to get fixed. She says she will need them to travel. This is true. When we get on the military plane in Osan, we are not allowed to wear any type of open toed shoes, including the flip flops that we wear everyday here. I might be stuck wearing the same shoes I wore when we went to Hong Kong, but I think I’m going to show up with my moccasins on and see if anyone says anything about it. If they do, then I’ll have the others close by ready to switch. We will only have our carry on baggage anyway. We like to travel light these days because it is less expensive, since most airlines charge for check in baggage and because I don’t like having to wait for baggage on the carousal after a long plane ride. Maybe I will get a chance to go to the BX on Osan to buy a pair of sneakers before we leave. I need a good pair of walking shoes anyway. I know I’ve mentioned that in here before. I made a new icon for my desktop. It’s for Facebook sites that I find that I like. I noticed while I was on the Osan Facebook site that there seems to be a Facebook site for just about every AMC terminal around the world. Someone of intelligence might be able to set up a nice little route to go to dozens of places around the world all within the HOPS system. Maybe I’ll give it a try anyway. While I was at the Osan Facebook page I looked up the Challenger Club menu. I noticed that 12oz Rib eyes and 12oz NY Strips are $19.95. That seems a little bit high. Maybe it’s the going rate for the USDA beef overseas though. I know that when we left Texas just 2 years ago, I could get about a 16oz Porterhouse or T-bone for that price. I guess I’ll find out when we get to Texas because I plan to visit a steakhouse or two while there. Ramil just showed up and returned that CD. Lita left about 4:15pm to pick up those shoes that she brought earlier and she brought Precious with her. When she came back about a half hour later, she was so happy about the results of her shoes. She said that they looked brand new. One of those pairs of shoes she has had for almost 30 years. Now they look new again, according to her, I didn’t really look at them and I really don’t know which pair of shoes she is talking about either. I have an idea of which ones, but I don’t pay that much attention to shoes. I think that within the next couple of days that the AdSense will make it to the point that the money will be sent out. Lita is happy that it is finally getting close and she is suspicious as to whether or not it is really true. She hears so many different negative things about things on the internet that she won’t believe it’s true until she sees the money. I believe it’s true, but I also would like to see the money. Before she left to get those shoes and while she was gone, I was cutting and cooking again. I finished up while she was gone and I’m here to tell you that the dish I made today was the best one I have made to date. It was the normal vegetables, peppers, onions and garlic, but I got to add a little bit of chicken to it and just a little bit different on the seasoning. It was just excellent. It was so good that I think it could be sold at a restaurant called the Blue Gazebo. We have a scheduled brown out again tomorrow, 0600 to 6:00pm — again. It is for the continued replacement of some “critically” rotting poles — still. In search of a Niche to make my blog higher in Google searches and in search of a Life after that. I guess you haven’t been shopping on Military Bases since you retired. I live withen 5 miles of base and found not worth shopping on same since Congress decided to screw active duty and retirees. Food,gas,and other things are cheaper outside of base if you shop around and buy stuff on sale. Commissary and PX are just conveyances now for people who live on base and do not want to leave to do their shopping. Another benefit Congress has taken away so they can give theirselfs pay raises and benefits. Yes we have been shopping on military bases since I retired. I retired in 1993 so I’ve had plenty of time to do that. We like shopping on base, but not all the time. We found that we could get some things off base less expensive, but for us, it’s better to get most of it all in one spot. The gas prices were a little lower on base anyway. We like being around the military type environment still. I think the fact that you’re an American in Calbayog City is enough of a niche for me, lol. I like to keep tabs of whats going on there, even if it’s only day to day things, and your web site is the best site I’ve found for that. I used to go to the ‘Ex-pats in Samar’ site but it doesn’t appear it’s been updated in a long time. I also go to Bob Martins site because it’s very informative about everyday life in the Philippines in general. 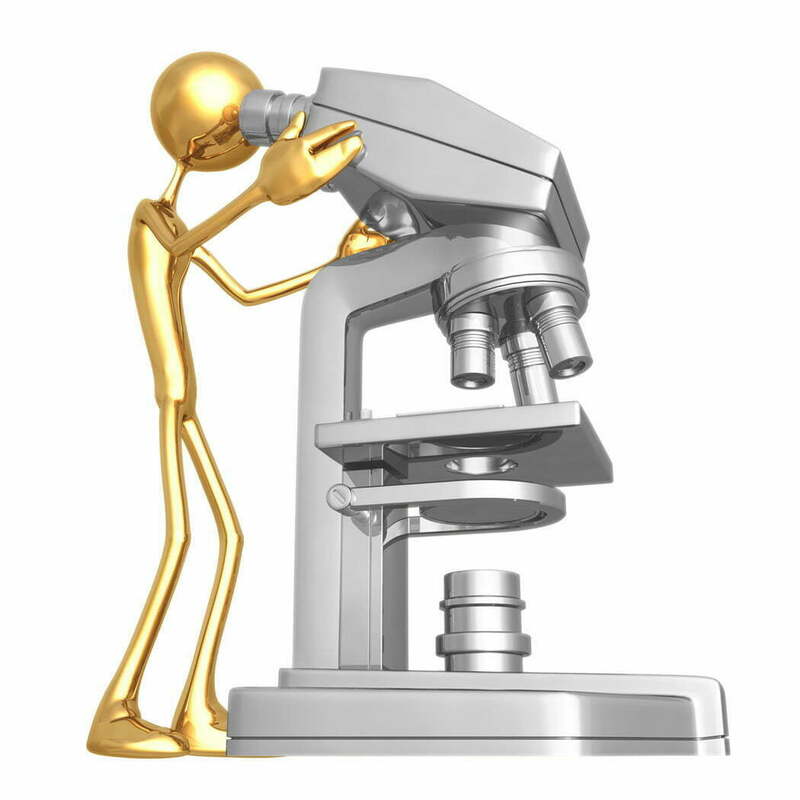 If you concentrate on providing consistent accurate information on Calbayog City that would be important to an America expat living in the area I’ll be back to visit your site regularly. Take care. If everyone felt the way you did, then I would have my niche already. I think that my best bet so far is Calbayog, but I’m still thinking.